The MTD Kingston Saratoga Deluxe picks up where the old-school Saratoga left off by adding active electronics and a flamed maple top. It retains Michael Tobias' innovations like the asymmetrical neck, the Quick Release Bridge and the Buzz Feiten tuning system. Stunning looks and gig-friendly active/passive flexibility make this a versatile tool for any bass player. An active/passive switch couples the great sounding passive hum-cancelling J pickups directly to the output and engages the passive tone control which is concentric with the volume pot. When in the active mode, the 3-band preamp takes over, with bass, mid and treble controls offering cut/boost at just the right frequencies. The MTD Kingston Super is the perfect combination of beauty and brawn. The stunning carved body and premium finishes perfectly support an incredibly powerful electronics package. In addition to a 3-band active preamp, Michael Tobias included a 3-way mini-switch for each MM-style pickup. In the down position the pickups are in hum-cancelling series mode, which gives a big, bold, punchy sound. In the middle position the pickups are in single coil mode, making them sound bright and twangy. In the up position the pickups are in hum-cancelling parallel mode and they sound bright and sweet, with a slightly lower output than series mode. When both pickups are in single coil mode they are hum-cancelling when the blend pot is centered. That is a lot of tonal flexibility. Michael has given you a massive pallet of sonic colors. So get yourself a MTD Kingston Super and start painting! "Z" 5-string Left-handed, Rosewood Fingerboard, Satin Burled Maple Finish. The MTD Z series of basses were created for a discerning player looking for the clarity, feel and response found only in a handmade, boutique style bass. 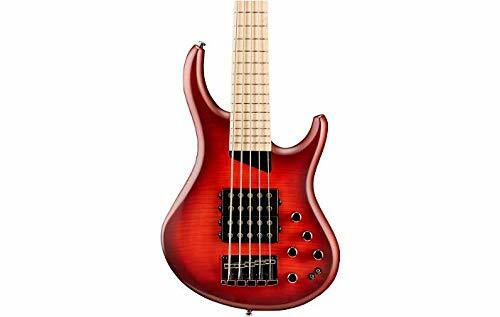 The Z basses incorporate many of the superior design elements found on MTD’s revered American series instruments - but at a truly affordable price. Carefully constructed using a high quality Mahogany core and beautifully adorned with a Burled Maple top, the Z basses marry beauty with unparallel performance. Designed by master luthier Michael Tobias, the MTD Kingston Series of instruments offer enhanced playability, exceptional tone, and superior construction at a price fit for any musician. Michael has trained a team of luthiers in the fine art of building an MTD bass and the results are nothing short of his lifelong goal: creating an affordable instrument that has the look, feel, and soul of his revered American basses. The MTD Kingston Series of Instruments are carefully constructed to Michael's exacting specifications. Heir 4-string Fretless, Rosewood Fingerboard, Tobacco Sunburst finish. The Kingston Heir basses were designed for the player looking for an extremely versatile instrument. Using the same large pole, dual humbucking pickups as the Kingston Artist in addition to an exposed pole “J” bass pickup, the Heir can grind and bite or simply serve up the warm classic sounds bassists cherish.The Heir incorporates many of the superior design elements found on MTD's revered US-built instruments-but at a fraction of the cost. Carefully constructed using high quality Ash with a figured Maple top, Eastern Hard Rock Maple neck and beautifully finished in a stunning high gloss, the Kingston Heir was equipped to meet the demands of any serious player. Designed by master luthier Michael Tobias, the MTD Kingston Series of instruments offer enhanced playability, exceptional tone, and superior construction at a price fit for any musician. Michael has trained a team of luthiers in the fine art of building an MTD bass and the results are nothing short of his lifelong goal: creating an affordable instrument that has the look, feel, and soul of his revered American basses. The MTD Kingston Series of Instruments are carefully constructed to Michael's exacting specifications. "Z" 4-string Maple Fingerboard, Gloss Tobacco Sunburt Finish. The MTD Z series of basses were created for a discerning player looking for the clarity, feel and response found only in a handmade, boutique style bass. 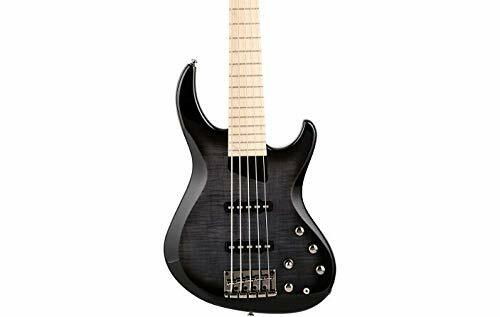 The Z basses incorporate many of the superior design elements found on MTD’s revered American series instruments - but at a truly affordable price. Carefully constructed using a high quality Mahogany core and beautifully adorned with a Burled Maple top, the Z basses marry beauty with unparallel performance. Designed by master luthier Michael Tobias, the MTD Kingston Series of instruments offer enhanced playability, exceptional tone, and superior construction at a price fit for any musician. Michael has trained a team of luthiers in the fine art of building an MTD bass and the results are nothing short of his lifelong goal: creating an affordable instrument that has the look, feel, and soul of his revered American basses. The MTD Kingston Series of Instruments are carefully constructed to Michael's exacting specifications. Looking for more Mtd Bass Strings similar ideas? Try to explore these searches: Titanium Anodized Captive Bead Ring, South Bend Baseball, and Step Pro Mesh. Look at latest related video about Mtd Bass Strings. Shopwizion.com is the smartest way for online shopping: compare prices of leading online shops for best deals around the web. Don't miss TOP Mtd Bass Strings deals, updated daily.